Experts have warned fitness devices like Fitbits can spark dangerous weight-loss in those with eating disorders. The wristbands – which link to apps to record the number of steps taken, calories burned and steps climbed – may encourage ‘perfectionism’ in already vulnerable people, according to Tom Quinn, director of external affairs at the charity Beat. He added the apps can ‘take over’ until the desire to reach a certain number of steps becomes an obsession. Anorexia sufferers have also spoken out, accusing the devices of ‘fueling’ their disorders. More than 1.6million people in the UK are thought to suffer from an eating disorder, with anorexia being among the most common, Anorexia & Bulimia Care statistics show. At least 30million people suffer from an eating disorder in the US, with 0.9 per cent of American women developing anorexia at some point in their lives, according to the National Association of Anorexia Nervosa and Associated Disorders. 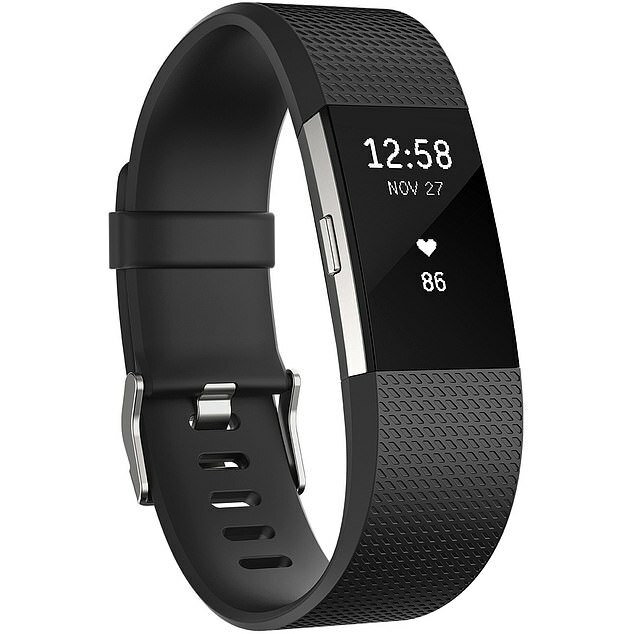 In 2017 alone, more than 15million Fitbit devices were sold worldwide, the database company Statista reported. Other popular brands include Delvfire, Lenovo and Huawei. Speaking to ITV News, Mr Quinn said: ‘With individuals who are seeking, often to regain control – perhaps they have low self esteem, or they’re stressed by other things in their life – actually that perfectionism, that desire to do everything right can really take over. 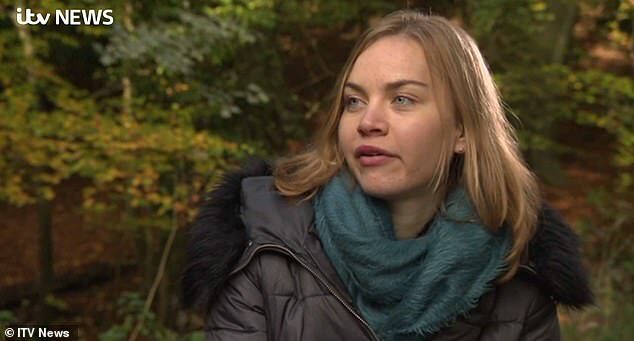 Caroline Frost is a former eating-disorder sufferer and claims her life was controlled by her Fitbit for two years. She would use the app to measure how many calories she was consuming and burning, and how many she needed to eat to achieve her goal weight. 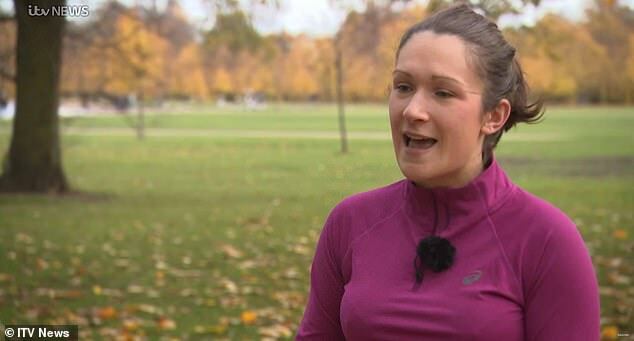 Ms Frost adds the app flagged no warnings that she may be over training but ‘what it did do was it fueled my anorexia’, she said. Checking it multiple times a day, Ms Frost even became isolated from her loved ones and described the device as her only friend. Although Ms Frost has since ditched the app and overcome her disorder, anorexia sufferer Zara Kindred still battles with the obsession. The 20-year-old would aim to increase her step count every day and would even set her alarm to help her get the exercise in. Ms Kindred, who is trying to gain weight, eventually required emergency care when she walked so much she became exhausted. She is speaking now out to encourage others not to use these devices. Fitbit comes with a health warning in its manual, however, it is below other recommendations, such as not to use the device in a sauna. A spokesperson from the company claimed its mission is to encourage people to live healthier lives by providing them with the tools to reach their fitness goals. The spokesperson encouraged those with concerns over any unhealthy behaviours to contact their doctor.